Prime Minister Nguyen Tan Dung has requested that oil and petroleum importers and traders ensure sufficient supplies and increase their stocks to guarantee energy security. While working with these enterprises, relevant authorities and ministries yesterday, PM Dung asked the Ministry of Industry and Trade (MoIT) and the Vietnam National Petroleum Corporation (Petrolimex) to devise a strategy to ensure an adequate supply of oil and petrol for 2008 and subsequent years. He also called for the establishment of a system that will lead to stability of the domestic fuel industry. He said that many economic sectors can engage in trading petroleum but state-owned enterprises will hold controlling stakes, of which Petrolimex occupies a crucial position. The PM asked petroleum importers and traders not to increase their selling prices from now until June unless there is a sudden hike in the world oil price, and join the Government in its efforts to curb inflation. He instructed the Ministry of Finance to continue not to levy fuel import duties and compensate oil and petroleum enterprises for their losses of over VND12.2 trillion in 2007. In addition, Mr. Dung requested the State Bank of Viet Nam to increase loans for importing sufficient fuel to meet domestic demand. According to the MoIT, petroleum traders lost VND3.5 trillion from the beginning of 2008 to 24 February, approximately VND33 billion per day on average, due to the world petroleum price hike. 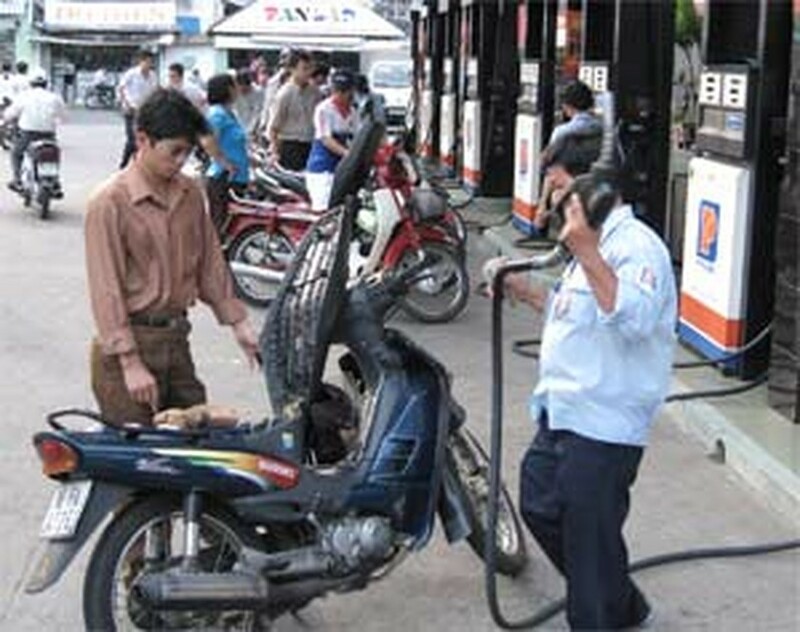 Though the Government allowed a rise in the petrol price on 25 February 2008, the losses involved have totaled VND1 trillion a month.